Without stamp mills there would have been no way to recover gold from the hard rock mines. A stamp is a metal that is moved up and down by a battering arm, pulverizing ores that are fed into it. They were mechanically operated machines that were used to crush ores by pounding till they extract the desired ore.
Gold pans and sluice boxes were necessary tools for the placer miner, but they were of little use in the large mines. Gold veins were locked up in rock, and ores needed to be grinded up to separate out the gold. While there have been other crude tools used to grind ore over the centuries, it was the use of the stamp mill that changed everything. Since the medieval ages, stamp mill machines were used by the miner. One of the earliest users were miners from Persia. The use of the stamp mills was also evident in most Islamic states in Spain and Africa. Although they were different than the more modern stamp design, they achieved the same effect. In 1860, Almarin Paul invented the modern stamp mills which were mostly powered by water or steam and mostly located near natural or manmade dams and other water sources. The early miners that arrived during the California Gold Rush mostly focused on the rich and easy-to-mine placer deposits in creeks and rivers, but as the years went on it was evident that there was a lot more gold hidden in those mountains. There was a huge demand for metals such as gold and silver, this powered the need for the improved stamp mills. The miners specifically liked them because they could pound the minerals into very fine powder thus enabling gravity concentration. 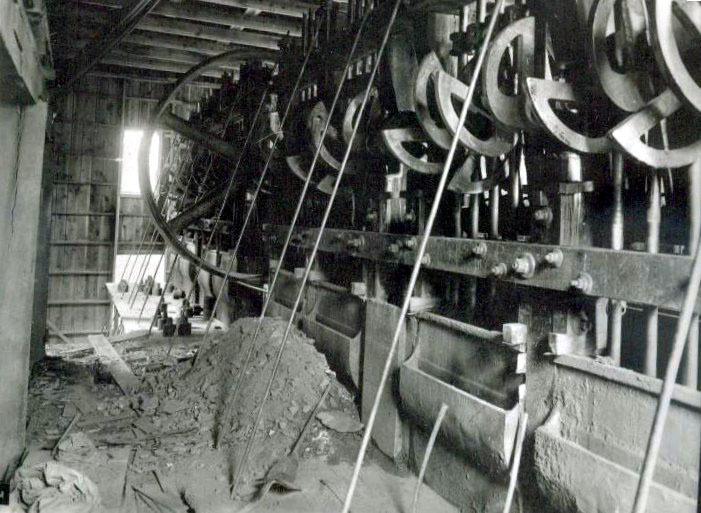 Despite being noisy, costly and cumbersome, stamp mill remained useful to the 19th century. They were invaluable in Australia and USA during the gold rushes. They were used during mining to crush rocks that were pulled from the mines. A simple enough task, but to accomplish it on a large scale took a mechanized device that could handle the load. In simple terms, a stamp mill functioned like a mortar and pestle that had water and ore put on one side as heavy stampers crush onto the gold ore. Stamp milling process especially that which involved gold mining had to have zero contact with grease or oil as the stamp fell into the stamp die, such a situation could be hazardous as the fine gold would be lost in the separation process. They generally operated by the stamp being lifted by the camshaft, it would then fall down by means of gravity onto the stamp die. The ore would be brought to the mill by a ore car using a winch, it would then be gratted by a metal grate known as a grizzy into fine and coarse material.The finer material would move to the ore chute while the larger pebbles would be directed to the ore crusher till they are crushed into fine gravel. The stamp battery worked by compressing the ore and by the abrasion of the rocks as they reacted to the impact of the stamp. Once the ore was turned into smaller particles it was then mixed with water, salt and mercury and crushed further by rotating iron plates. This would continue until it turned into a slurry or slime substance. A mercury coated copper table would then be used to evenly spread the slurry. At this stage, gold would adhere to the mercury through the process of amalgamation while the other impurities would move to a shaking and vibrating table called the concentration table. This table was designed to ensure that any gold remaining in the sand would be recovered. Later on, the gold and the mercury would be scrapped off the table and separated through chamois and retort process. These two process would be repeated till all the gold has been removed. It is to be noted that that during the process water should be fed into the top of the mortal with caution as large amount of water would reduce the effectiveness of the amalgamation process. Several stamps were used on a stamp mill. Single stamps, 3-stamp, 5-stamp, and even 20-stamp mills were in operation at some of the larger mines. As mines grew larger and extracted more ores, the need for bigger stamping operations was evident. It was common for successful mines to upgrade their equipment throughout the years. Bringing these stamps into remote gold mines was no small task. These were big, massively heavy pieces of iron. Even when they were deconstructed they were still heavy and needed to be brought in piece-by-piece to remote gold mines. The cost was immense, which is one reason that so many mines failed even though they had rich ores. Stamping was an added cost just like any other. Placer mining is considerably easier than lode mining in terms of infrastructure. 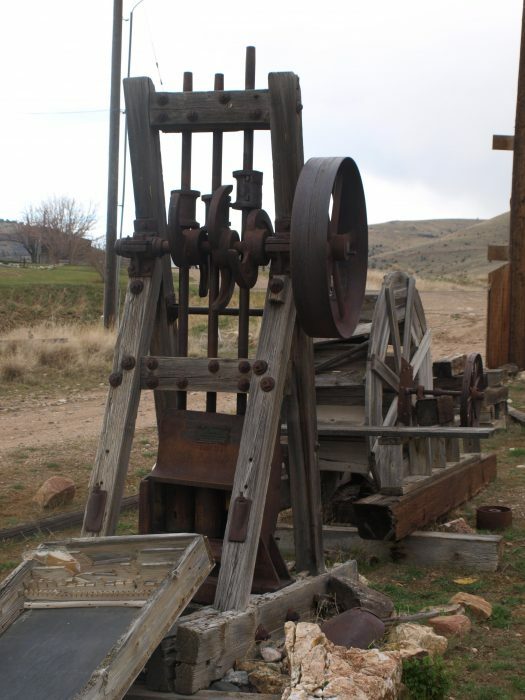 Stamp mills were large and cumbersome tools, but they were an absolute necessity for the hard rock miners. 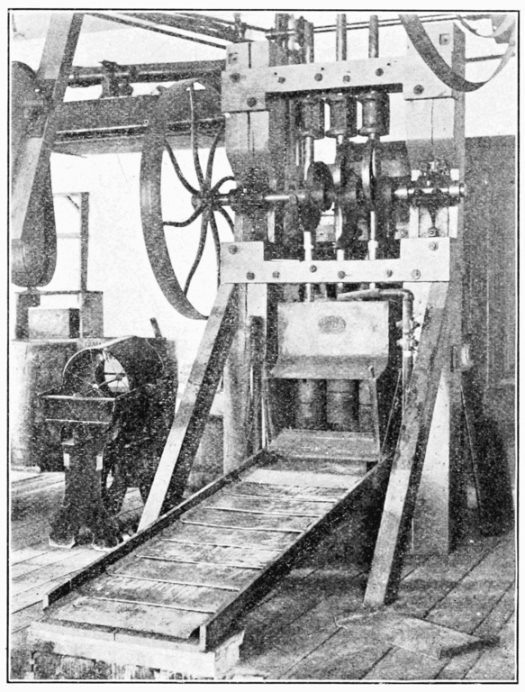 While it was possible to crush ores using more rudimentary methods, the mechanized process used with stamp mills meant that large quantities of rock could be pulverized. Stamp mills were effective machines for mining gold in the early years, even with the challenges associated with using them, they acted as the force that propelled gold mining into commercialization. Millions of ounces of gold have been recovered as a result of this ingenious tool.